You’re planning to spend your Valentine’s Day in Prague, and you’re wondering what to do for your beloved? 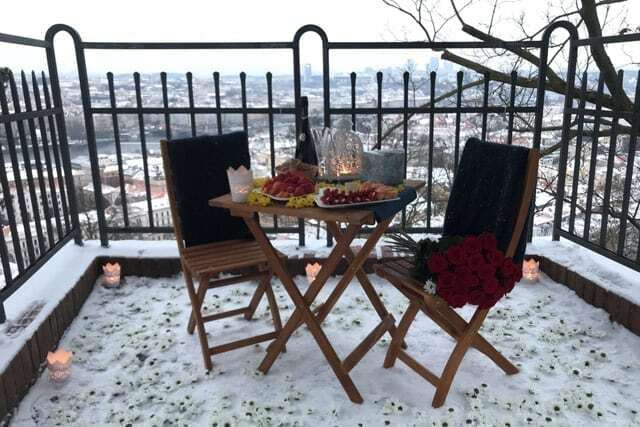 Well, you just hit the jackpot, because Prague for Two has got it all figured out, and can make your Valentine’s Day in Prague a day she will remember for the rest of her life! There’s a ton of stuff you can do for your Valentine’s Day in Prague, but most of all that you can do on almost any day. If you have already done your homework by searching on the Internet, you probably know of a few things. One of the most romantic ones is the Lovelock Bridge, where you can “lock your love” by putting the lock with your names on it on the fence. That’s pretty much it. Everything else is not going to make your Valentine’s Day in Prague much different from any other day. But not if you consider going with Prague for Two. Now, imagine yourself casually taking your beloved for a stroll in a park. 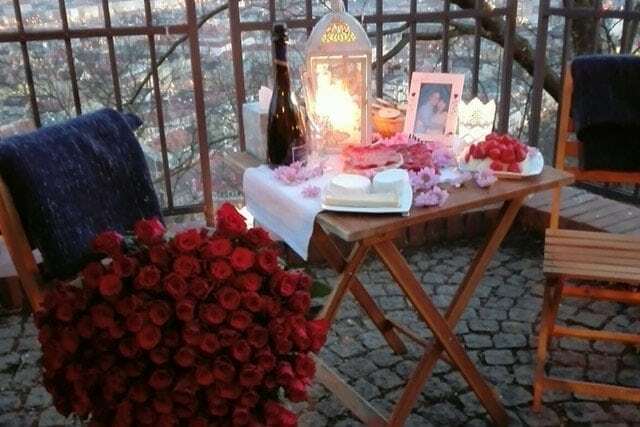 All of a sudden you stumble upon a table set up just for her: champagne, some snacks, a photo of you two, candles all over the place, a bouquet of her favorite flowers… I guarantee you, this beats all those other things you’ve seen on the Internet! 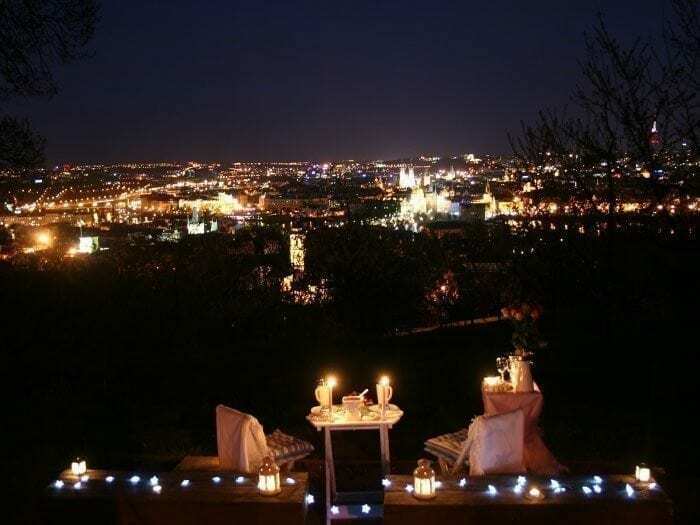 Out of all those “things to do on Valentine’s Day in Prague” this is by far the best way to tell her “Happy Valentine’s Day, sweetheart!” Just think about how many points you’re going to get for this!